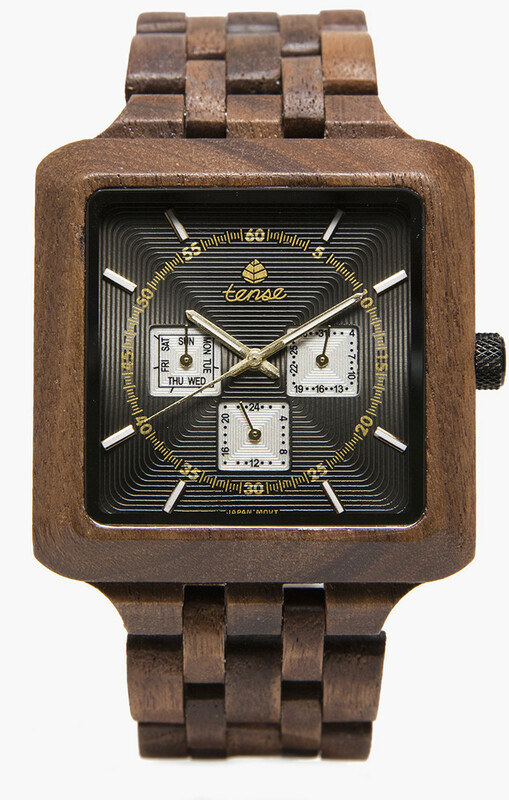 This men’s wood watch shows hourly markers, calendar date, day of the week, 24-hour display, and has luminescent hands on a square face. The Northwest Multifunction Watch is made from 100% recycled and reclaimed wood, with stainless steel crown and clasp. Other Chinook styles can be found in the store!